Corolla started out as a tiny village on the northern Outer Banks, but now we use it to mean everything north of Duck until the paved road ends. 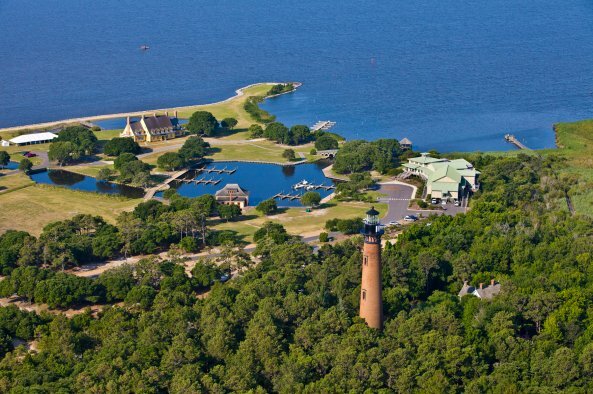 The first community you encounter heading into Corolla is Pine Island. This was the original big house community on the Outer Banks, many homes having more than 4000 square feet of living area. There are two community pools - at the north end and the south end - but many homes have private pools as well. In the middle of Pine Island is the Hampton Inn, another good place to send extra overnight guests. 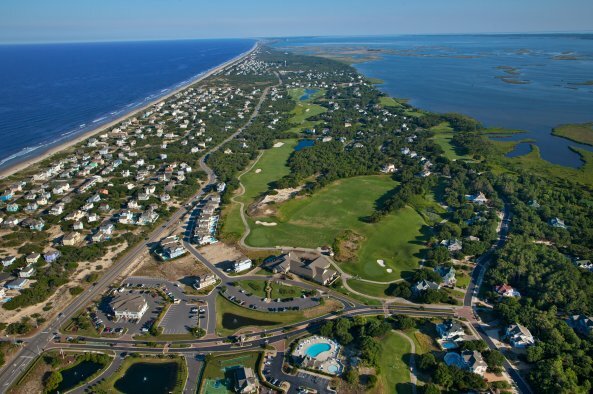 Next are two of the most popular communities in Corolla: Ocean Sands and the Currituck Club. Ocean Sands was the first large-scale development on the Outer Banks north of the town of Duck. With an eye to preserving natural beauty and strong focus on protecting resources, the homes here are intentionally clustered around dedicated natural spaces, dune walkover structures are limited and all utilities are underground. 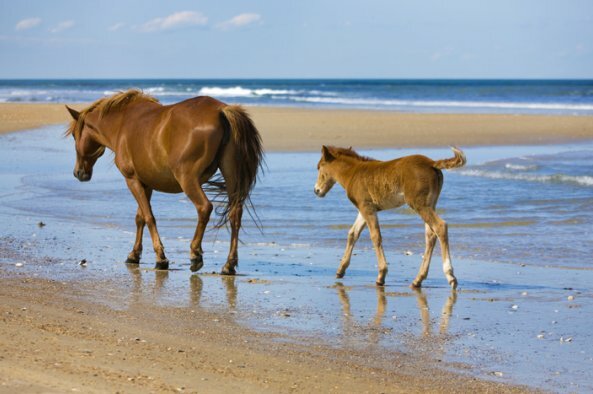 These considerations ensure a limited impact on the environment and allow guests to enjoy one of the loveliest neighborhood beaches on the Outer Banks.​Ocean Sands has several sections that each have their own character. Large lots and great views are the rule in sections A, B and C, while D, E and F have smaller townhomes and condos. H and I are single-family homes connected by walking trails to get to the beach; J has views of the lake, and Section O is slightly more upscale, with newer homes and a community pool. K, L, M, N, P and Q are similar to H and I, and none are more than a ten minute walk to the beach. The Currituck Club is a gated community on the soundside, surrounding the award winning Rees Jones golf course. There are a few communities, all with something different to offer - from large homes with private pools and views of the ocean and sound, to the 3 and 4 bedroom homes in Hammocks, to the Windswept Ridge golf villas that also afford a glimpse of the ocean. The Currituck Club has five pools, a clubhouse, tennis courts and a trolley that takes you to the beach access in-season. Crown Point and Buck Island are smaller communities, but both offer a community pool and beach access. They are both very conventient to TimBuck II shopping village and Monteray Plaza, which has a grocery store and more shops and restaurants. The next place we meet is Whalehead, and it is all about the uncrowded beach and getting away from it all. Homes range from 3 to 12 bedrooms, but most fall between 6 and 10. Most of the roads leading to the beach have been turned into walkways, giving you a stress-free daily commute. Monteray Shores is on the soundside of the Whalehead area, and Corolla Bay is a newer community nearby that has both ocean- and soundside homes. 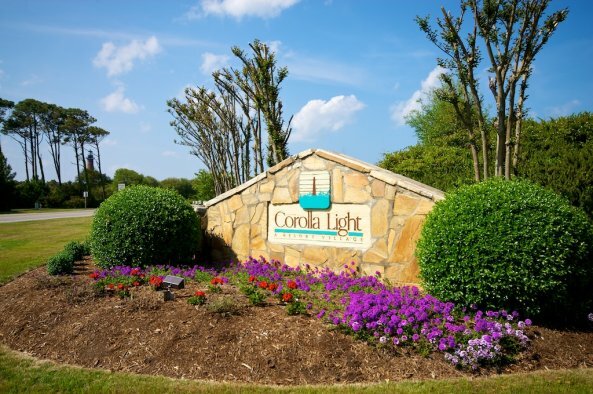 Corolla Light is an award-winning community with amazing amenities and many different price points to choose from. The oceanfront pool complex is unequalled on the Outer Banks, and even includes a full-service restaurant and lots of scheduled activities for kids of all ages. There is an indoor sports center, a soundside pool area, and trolleys to get you there and back, unless you want to use the extensive bike and walking paths throughout the community. It's also an easy walk to the Corolla Light Town Center, the Whalehead Club and the actual lighthouse. Corolla Light Homeowners and their guests also receive golf privileges at the Currituck Club and several other local courses. Now we finally reach the actual village of Corolla. 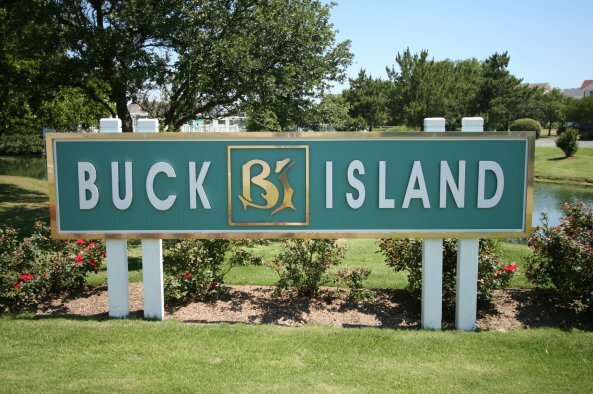 This is the only place that's not in a community with a homeowners association, and it's where many of the year round population of about 500 lives. This is where you will find the post office and Wink's, the last place to stop for gas before you reach the four-wheel drive area. Past the village is Ocean Hill and the Villages at Ocean Hill. The Villages offer amenities including an oceanfront beach club with parking, a fitness center, tennis and soundside pool, while Ocean Hill just offers beach access. After that, the paved road ends. Some hardy souls make their homes in Swan Beach and Carova, but they have to time their comings and goings with the tides. If you are up for the challenge, maybe the four-wheel drive area is for you. Start browsing the properies on the market in Corolla below, or use the real estate listing search in the top right corner of the page to search through Corolla MLS listings by price, type, proximity to the ocean or MLS number. 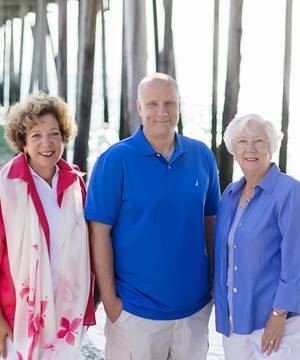 We also have an agent on duty who can answer any questions you have and get you started down the right path towards ownership in beautiful Corolla, NC. Don't hesitate to contact us!